As I said before, I am simply amazed by the things that come out of my son’s mouth. So I share with you a quote from him. Read it and let it sink in. 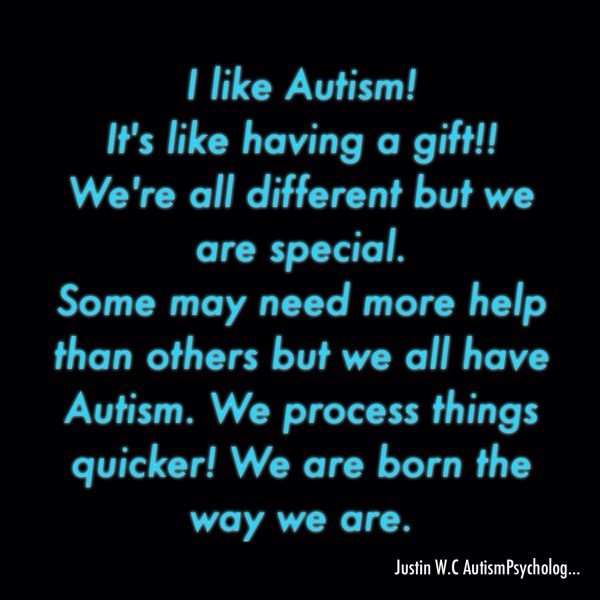 If he is proud to have autism, how come others find it hard to be themselves? → Do Ants Have Souls? This is awesome. I hope my son feels this way.